Comments: Mild shelf wear. Marking found in text. Binding solid. No creases in spine or covers. Not remainder or ex-library. Packaged carefully for shipping. Ships within 24 hours with tracking. Satisfaction guaranteed!! Sorry, no APO/FPO. Sorry, no APO/FPO. 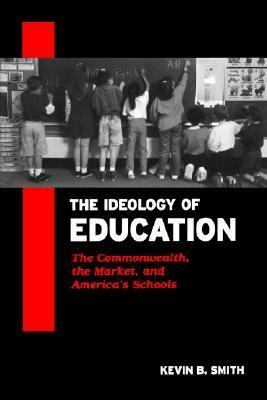 Kevin B. Smith is Associate Professor of Political Science at the University of Nebraska at Lincoln.Smith, Kevin B. is the author of 'Ideology of Education The Commonwealth, the Market, and America's Schools' with ISBN 9780791456460 and ISBN 0791456463. Loading marketplace prices 73 copies from $11.95 How does the rental process work?